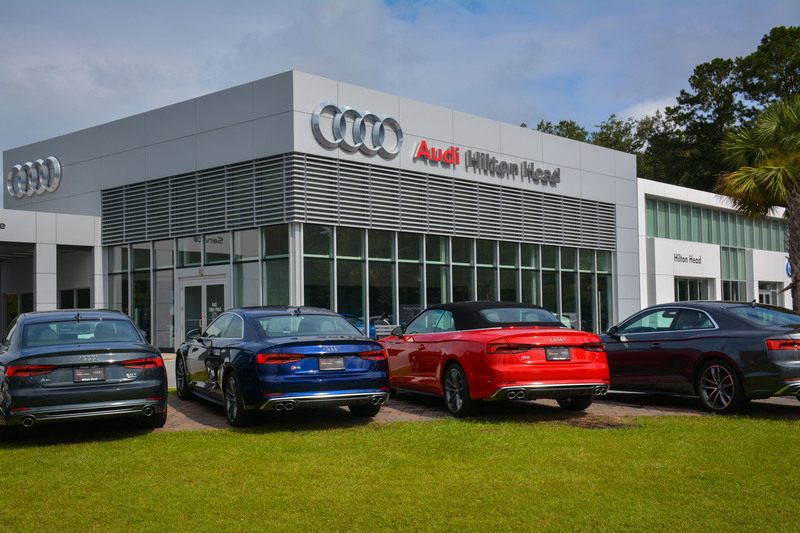 The new dealership will be located two blocks from the current Audi Hilton Head dealership which is currently in a shared facility with Hilton Head Volkswagen. 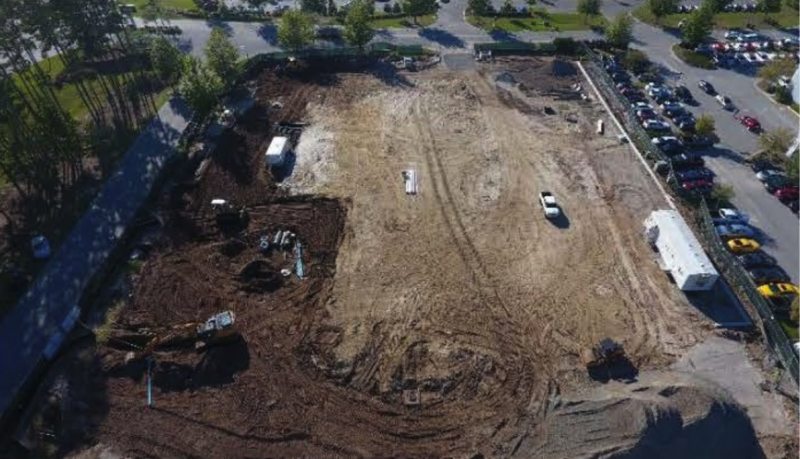 The new dealership facility will feature a state of the art repair center, along with modern amenities for customers. 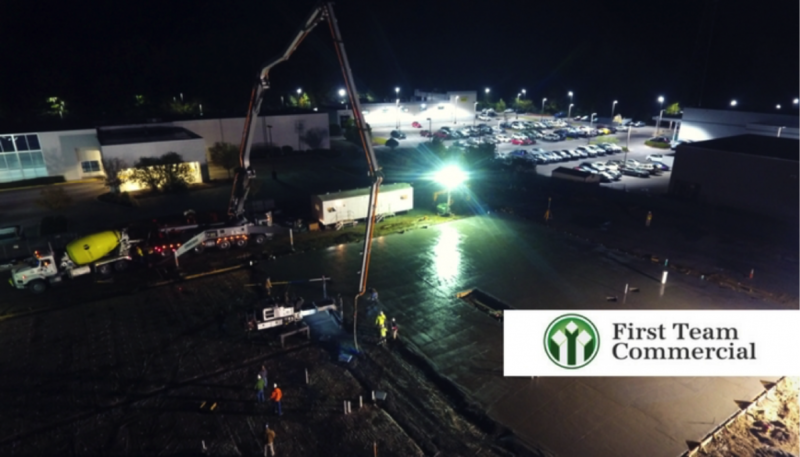 “We are pleased with the progress of the construction phase as we deliver Peacock Automotive and its valued customers a beautiful facility to enjoy for years to come,” said Tad Dixon, President of FTC. The new 30,000 square-foot Audi Hilton Head will serve as a dedicated Audi Sport facility, which will also expand its inventory of high-performance sport models and offer more Sport factory parts and accessories. “The team put together a great set of construction drawings that reflect careful consideration of the owner’s business requirements and Audi design standards”, said Dixon. 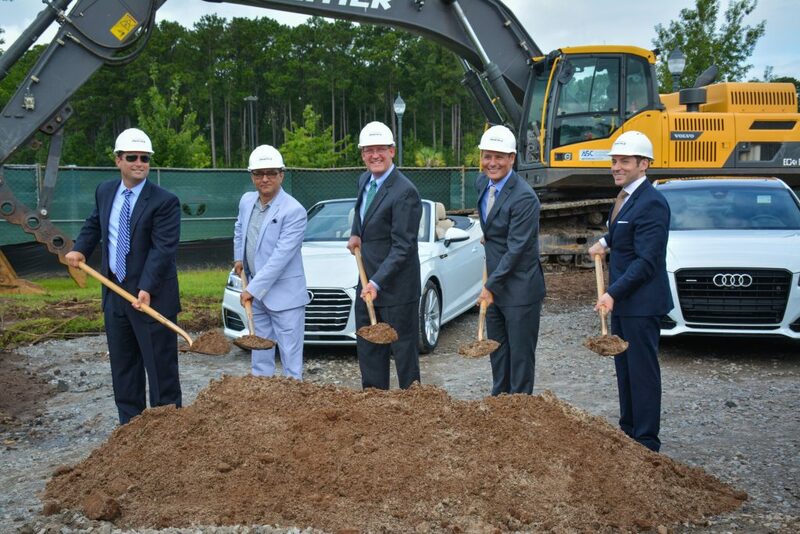 Pictured here at the groundbreaking ceremony, Tad Dixon – President (First Team Commercial), Khurram Khan – General Manager (Audi Hilton Head), John Lyons – Low Country Platform Director (Peacock Automotive), Bryan Pellock – Area Director (Audi of America) and Kyle Matthews – Sales Manager (Audi of America). When the new facility opens, Audi will move out of it’s currently shared facility with Volkswagen. The Volkswagen outlet will grow to occupy the vacated space in an updated facility that will be renovated according to current VW design standards.